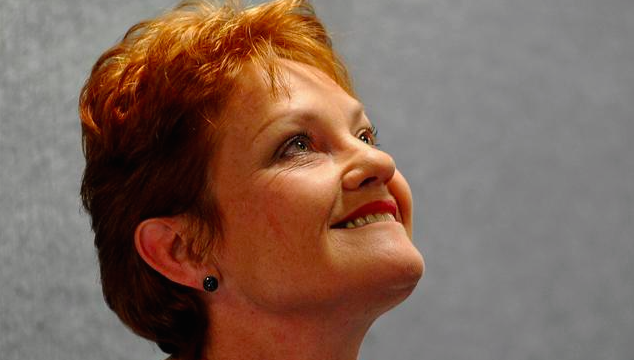 Newly minted TBS writer Rob Idol gazes at the recent racial tension in Australia and finds solace in an unlikely source…the one and only Pauline Hanson. I never thought these words would escape my lips, but I have to agree with Pauline Hanson. Before you tar and feather me, hear me out as my congruence with her opinion is limited to one point she made in relation to the Reclaim Australia/anti-racism groups at the recent nationwide protests. Pauline called for calm. It’s the first intelligent thing she has said, even if it was by accident. I’m going to put my cards on the table – I am completely against what groups like Reclaim Australia truly stand for and find their message abhorrent. However, the actions of the groups opposing them are doing far more damage to their own cause and are unwittingly providing strength and justification to those they see as the enemy. The anti-racism groups have been professing their pride and success as a result of significantly outnumbering the Reclaim groups at all of the various protests around the country. They have vowed to send a message that groups like Reclaim, and others who accept their bigotry, are in the minority and not welcome in Australia. Do you know what else sends that message? Letting them have their protests with their meagre numbers and complete lack of media coverage. That’s exactly what would have happened if the anti-racism groups hadn’t shown up. Had these groups been left alone, the ridiculousness of the hate campaign propagated by a very small minority would have been immediately exposed and pushed to the back of news reports where it belongs. Rather, the presence of opposing groups and potential violence gave the media an opportunity it couldn’t ignore, providing the hate groups with much needed publicity. Ironically, groups such as Reclaim Australia feed on the same things as extremist groups like ISIS. They feed on the vulnerable, the disenfranchised, the minorities – they feed on fear. Anti-racism protesters outnumbering their opposition and resorting to violence creates one very dangerous side-effect – it makes groups like Reclaim look like victims – and the last thing we want is for groups founded on hate and bigotry to be seen as victims. Victims garner sympathy, and even empathy, for their cause. Like many groups founded on bigotry, it doesn’t take too much for their numbers to swell with normal, rational people who are also looking for someone, or something, to blame. Make no mistake, groups like Reclaim Australia already have those type of members in their ranks. They do not fit the bigot stereotype with which we are familiar; they are multilayered, multicultural and multigendered. I firmly believe that the majority of Australians do not buy into the fear campaigns designed to increase the already heightened Islamophobia. This was clearly demonstrated by the #illridewithyou campaign following the tragic events in Martin Place last year. They are, for the most part, indifferent. There are those at the extreme ends of both sides of the argument that will fight ferociously for their cause, but the majority lie somewhere in the middle, not particularly concerned unless it affects them directly. Whilst these middle grounders might not be easily manipulated by the entry level propaganda coming out of the Government and sections of mainstream media, they can fall victim to empathy for their fellow Australians. When arguments on an issue are wholly focused on a left vs. right mentality, eventually those in the middle will have to choose a side and if one is made to look like a beleaguered underdog, there is a good chance that everyday Aussies will back them, despite their hateful message. Fighting extremism with extremism is a sure fire way to ensure that you isolate some who may have been otherwise sympathetic to your cause. Don’t get me wrong, I am strongly opposed to groups like Reclaim and also want to scream and shout at them. I too wish to send a message of solidarity to those in our communities that unfairly feel threatened by hate mongers. Using negative action to combat hate is not the way to go about it. It’s kind of like turning up your stereo to complain about the volume of your neighbour’s stereo; all you end up with is a lot of noise and some less than impressed neighbours on the other side who were previously empathetic to your plight. Rather, let’s use our majority to make those who might feel victimised by groups like this feel more included in our society. Let’s take positive action and let its repercussions silence the war cries of the hateful minority. Look at groups like Reclaim Australia for exactly what they are – fear filled victims of the most basic of propaganda. They are everyday Australians who unfortunately buy into conspiracy theories about Halal Certification being a tool for funding terrorist cells. They believe that they are fighting the good fight to prevent Australia succumbing to sharia law – an idea that should be laughed at, not screamed at. They need to be treated like the simple schoolyard bully that is taking out their own insecurities on those weaker than them – by ignoring them. Much like in the schoolyard, there is only one method that is guaranteed to lose the fight against the bully; and that is showing them they’ve hurt you. So, Australia, as Pauline said, calm down. I was at the Melbourne one. And i can tell you, you are overcompensating there. This is another stupid, unnecessary and downright unhelpful article. women sluts and being antagonistic, obviously looking for a fight. Source: I was literally court-side for every altercation, taking photos. counter-protestors defended themselves, as you probably saw on the news. fascists. Overwhelmingly, it was peaceful. shouldn’t eclipse the entire protest that was largely a peaceful affair. I went to the anti-racism rally but was very disappointed at the behaviour of many people in the group. This article is very spot on. I have to say that, I too, agree with Pauline Hanson on this one.